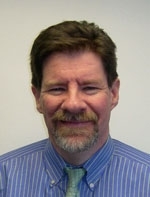 Jeff Fraser has represented victims of negligence for 30 years. 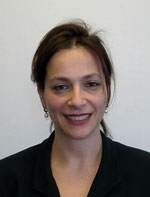 Helen Galanopoulos has represented injured people for 15 years. They are dedicated professionals who care about their clients. They work hard to get reasonable compensation for people whose lives have been altered by the negligent or reckless acts of individuals or businesses. Both Jeff and Helen have specialized knowledge in the fields of medicine and mental health which helps them understand their clients' injuries and emotional burdens. Fraser & Galanopoulos is a Massachusetts firm dedicated to zealous advocacy on behalf of injured clients. We are experienced and accessible lawyers who maintain prompt and frequent communication with clients. We believe that thorough investigation and preparation generate optimal results in personal injury cases. The firm is located in an antique mill building on the Charles River at the intersection of Route 128/95 and Route 16 on the Newton/Wellesley line. Convenient home appointments can be arranged for injured clients. Office appointments in Boston, Lexington, Andover, and Worcester are also available. Call Jeff or Helen at 800-473-3972 or 617-795-0321. Personal injury consultations are free and do not obligate you to take any action. Many of our personal injury clients have strong feelings about their injury or about pursuing a personal injury claim. If you have been injured, you may experience some of the following thoughts or questions. I have never sued anyone and I don't like the idea. I do not want to appear greedy. I do not want to take someone's house. My injury is taking a long time to heal, more than I expected. My injury is affecting my life in many ways, more than I can explain. I am angry that a person's or company's mistake is still affecting my life. Our initial free consultation will often address these feelings. If you would like to discuss your options with an experienced attorney who understands what you are going through, please call Jeff Fraser at 800-473-3972 or 617-795-0321. Personal injury consultations are free and do not obligate you to take any action. The information contained in this Website is solely for informational purposes, does not create an attorney-client relationship and should not be construed as legal opinion on any specific facts or circumstances. This information may be considered advertising under the Rules of the Supreme Judicial Court of Massachusetts.